Our Promise to you: Our office staff, dispatchers and our fully trained technicians offer the best warranties on our workmanship and manufacturer's materials in the industry. Our vehicles are fully stocked to handle any job. The latest plumbing and drain technology is used to help complete your job correctly. We realize that plumbing and heating problems do not always happen in the middle of the day; that is why our technicians work around the clock to serve you. Residential, commercial, and industrial clients alike count on our plumbing service for new installations, maintenance, and repairs. Whether you need a one-time fix or ongoing property management, including fixing frozen pipes, repairs, and diagnosis, we’re here for you. Homeowners can take advantage of upgrades for bathrooms and kitchens, as well as new home construction plumbing. Call Us Today for a Free Estimate. 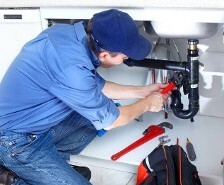 We are a True 24/7 Emergency Plumbing Company and can take care of all of your Plumbing Needs! !